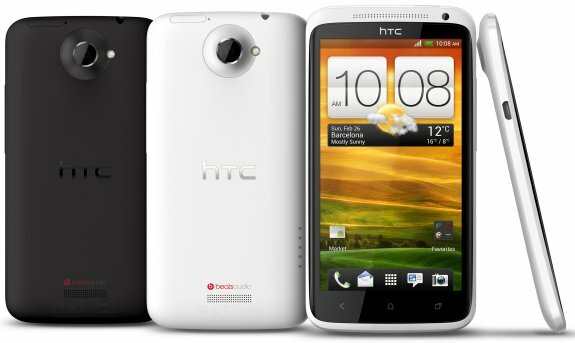 HTC presents the One X, the company's new flagship phone. This new smartphone offers NVIDIA's Tegra 3 1.5GHz processor and a 4.7" LCD screen with 720p resolution and Corning Gorilla Glass. The phone will ship in early April with a MSRP of 649EUR. NVIDIA today announced that its NVIDIA(R) Tegra(R) 3 mobile processor, the world's only 4-PLUS-1(TM) quad-core processor, is powering the new HTC One(TM) X unveiled at Mobile World Congress. The smartphone represents the first collaboration between the two companies. The NVIDIA Tegra 3 processor features a unique 4-PLUS-1 quad-core architecture that delivers outstanding performance and exceptional battery life. It does this by progressively powering on each of its four main CPU cores as they're needed for increasingly more demanding tasks, and relying on its fifth battery saver core for less demanding tasks and active standby mode. Tegra 3's 12-core GPU enables consumers to enjoy console-quality gaming, as well as 1080p HD video capabilities unlike anything seen before on a smartphone. "The HTC One X with Tegra 3 provides an experience that consumers will absolutely love," said Kouji Kodera, Chief Product Officer at HTC. "We knew our next super phone had to be fantastic. That's why we chose to work with NVIDIA." "HTC has quickly become one of the world's most innovative makers of mobile devices," said Michael Rayfield, General Manager of the Mobile business at NVIDIA. "The HTC One X exemplifies what we've come to expect from one of the world's top phone makers."